What is the cheapest way to get from Cromer to Royston? The cheapest way to get from Cromer to Royston is to drive which costs £16 - £24 and takes 1h 47m. What is the fastest way to get from Cromer to Royston? The quickest way to get from Cromer to Royston is to drive which costs £16 - £24 and takes 1h 47m. Is there a direct bus between Cromer and Royston? No, there is no direct bus from Cromer to Royston station. However, there are services departing from Cromer, Church Street and arriving at Royston, Bus Station via Norwich Bus Station and Trumpington, The Busway Trumpington Park-and-Ride. 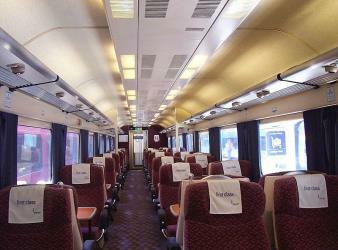 The journey, including transfers, takes approximately 5h 50m. Is there a direct train between Cromer and Royston? No, there is no direct train from Cromer to Royston. However, there are services departing from Cromer and arriving at Royston via Norwich and Cambridge. The journey, including transfers, takes approximately 3h 13m. How far is it from Cromer to Royston? The distance between Cromer and Royston is 83 miles. The road distance is 97 miles. How do I travel from Cromer to Royston without a car? The best way to get from Cromer to Royston without a car is to train which takes 3h 13m and costs £35 - £60. How long does it take to get from Cromer to Royston? 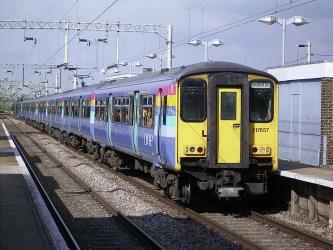 It takes approximately 3h 13m to get from Cromer to Royston, including transfers. Where do I catch the Cromer to Royston bus from? Cromer to Royston bus services, operated by Sanders Coaches, depart from Cromer, Church Street station. Where do I catch the Cromer to Royston train from? Cromer to Royston train services, operated by Greater Anglia, depart from Cromer station. 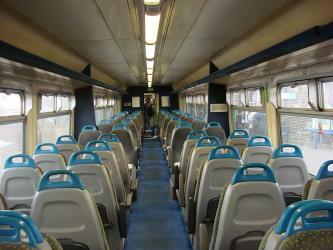 Train or bus from Cromer to Royston? The best way to get from Cromer to Royston is to train which takes 3h 13m and costs £35 - £60. Alternatively, you can bus, which costs £19 - £27 and takes 5h 50m. What companies run services between Cromer, Norfolk, England and Royston, Hertfordshire, England? 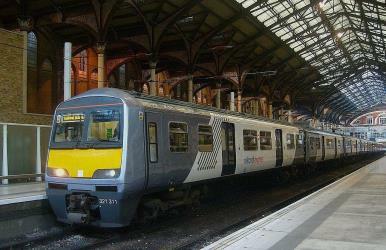 You can take a train from Cromer to Royston via Norwich and Cambridge in around 3h 13m. Alternatively, you can take a bus from Cromer to Royston via Norwich City Centre, St Stephens Street, Norwich Bus Station, Cambridge, and Trumpington, The Busway Trumpington Park-and-Ride in around 5h 50m. Where does the Cromer to Royston bus arrive? Cromer to Royston bus services, operated by National Express, arrive at Cambridge station. Where does the Cromer to Royston train arrive? 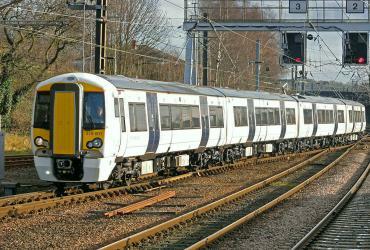 Cromer to Royston train services, operated by Greater Anglia, arrive at Cambridge station. Can I drive from Cromer to Royston? Yes, the driving distance between Cromer to Royston is 97 miles. It takes approximately 1h 47m to drive from Cromer to Royston. How do I get a train ticket from Cromer to Royston? 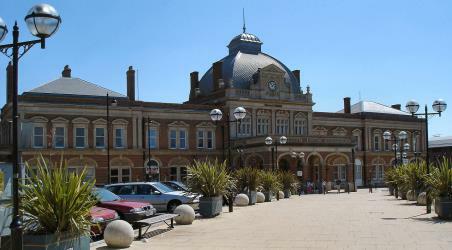 Book your Cromer to Royston train tickets online with Rome2rio. Where can I stay near Royston? There are 518+ hotels available in Royston. Prices start at £64 per night. Imperial War Museum Duxford is a branch of the Imperial War Museum near Duxford in Cambridgeshire, England. Britain's largest aviation museum, Duxford houses the museum's large exhibits, including nearly 200 aircraft, military vehicles, artillery and minor naval vessels in seven main exhibition buildings. The site also provides storage space for the museum's other collections of material such as film, photographs, documents, books and artefacts. The site accommodates several British Army regimental museums, including those of the Parachute Regiment (named Airborne Assault) and the Royal Anglian Regiment. The University of Cambridge (informally Cambridge University) is a collegiate public research university in Cambridge, England. Founded in 1209 and granted a royal charter by King Henry III in 1231, Cambridge is the second-oldest university in the English-speaking world and the world's fourth-oldest surviving university. The university grew out of an association of scholars who left the University of Oxford after a dispute with the townspeople. The two medieval universities share many common features and are often referred to jointly as "Oxbridge". Wimpole Estate is a large estate containing Wimpole Hall, a country house located within the Parish of Wimpole, Cambridgeshire, England, about 8+1/2 mi southwest of Cambridge. The house, begun in 1640, and its 3000 acre of parkland and farmland are owned by the National Trust and are regularly open to the public. Wimpole is the largest house in Cambridgeshire. King's College is a constituent college of the University of Cambridge in Cambridge, England. Formally The King's College of Our Lady and Saint Nicholas in Cambridge, the college lies beside the River Cam and faces out onto King's Parade in the centre of the city. Rome2rio makes travelling from Cromer to Royston easy. Rome2rio is a door-to-door travel information and booking engine, helping you get to and from any location in the world. Find all the transport options for your trip from Cromer to Royston right here. Rome2rio displays up to date schedules, route maps, journey times and estimated fares from relevant transport operators, ensuring you can make an informed decision about which option will suit you best. Rome2rio also offers online bookings for selected operators, making reservations easy and straightforward.